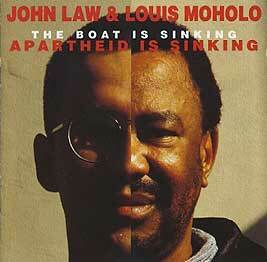 John Law, piano; Louis Moholo, drums, percussion. Track 1 recorded at Rotherham Arts Centre on 9 December 1993; track 2 at Bradford Alhambra Studio on 5 November 1993; other tracks at Birmingham Midland Arts Centre on 18 November 1993. Front cover photograph (reproduced above) by Kenneth Ansell; design by Impetus.